If you have a web comic that spans several art-intense volumes or if you just do gag-a-day memes to share online for fun, you’ll find it’s difficult to escape the speech bubble. 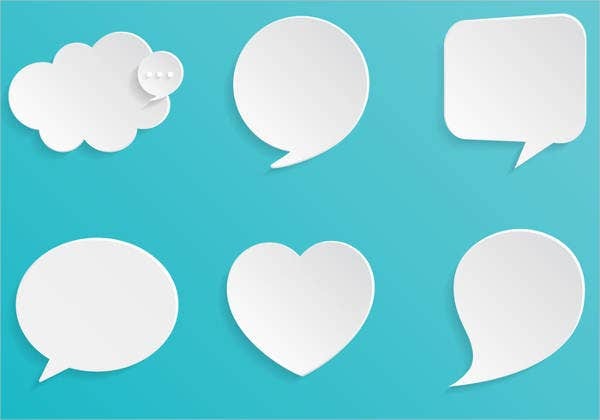 Since the traditional days of comic making, these bubbles would contain the words a character says or thinks, and would include little indicators of which character is saying it. They would even change shape when a character screams, ponders, growls, or if it is uttered by a robot, for example. Essential but time-consuming, and difficult to make consistent. 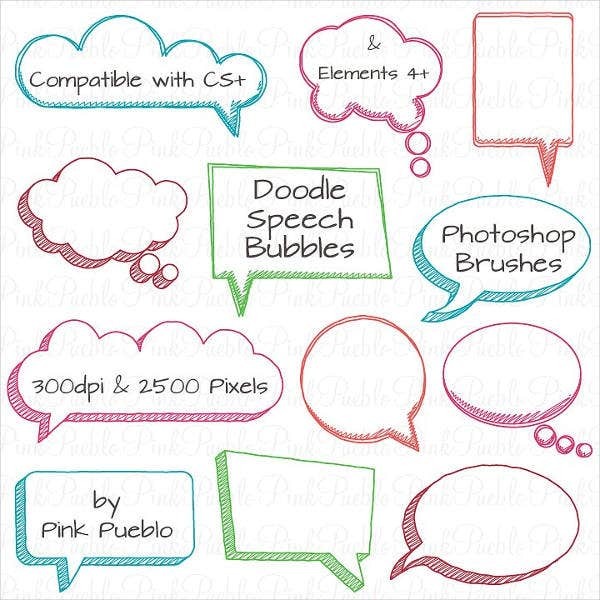 These Photoshop Brushes in the shape of a variety of speech bubbles and visual speech tags will do the job for you. The Photoshop painters’ community seems obsessed with making your job as an artist easier, faster, more fun, and with a mind-boggling array of options. 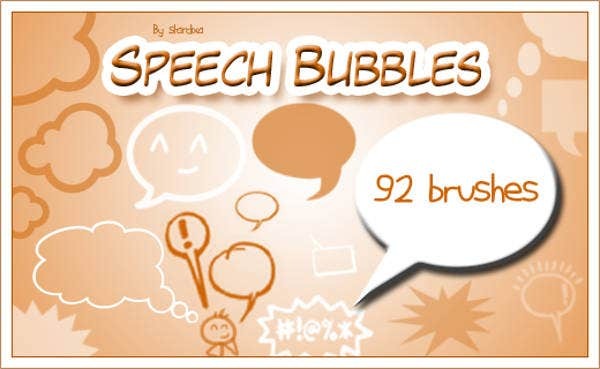 This is why you can find everything from Bubble Brushes to Watercolor Brushes and now even speech bubble brushes to take the tediousness out of drawing a shape around everything your characters think or say. 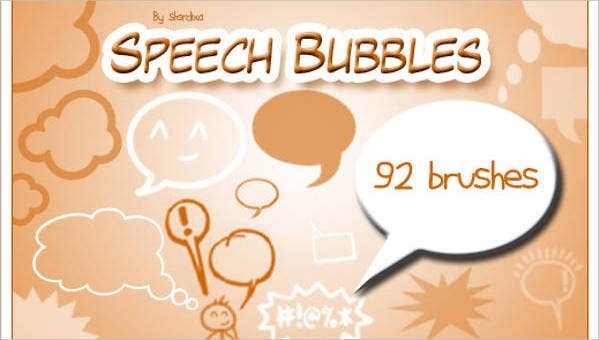 But you can’t just use the first speech bubble brush on offer. 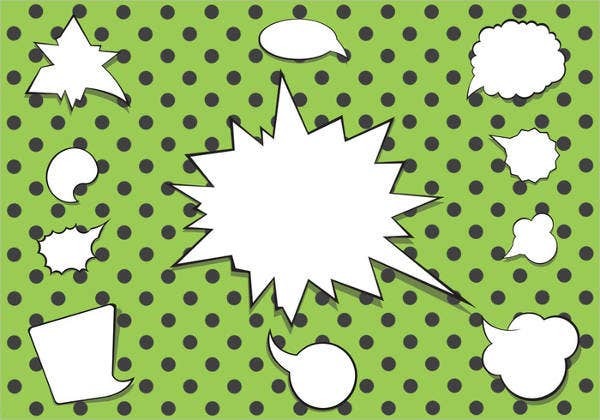 Unless you haven’t noticed, the speech bubble is a part of your art. 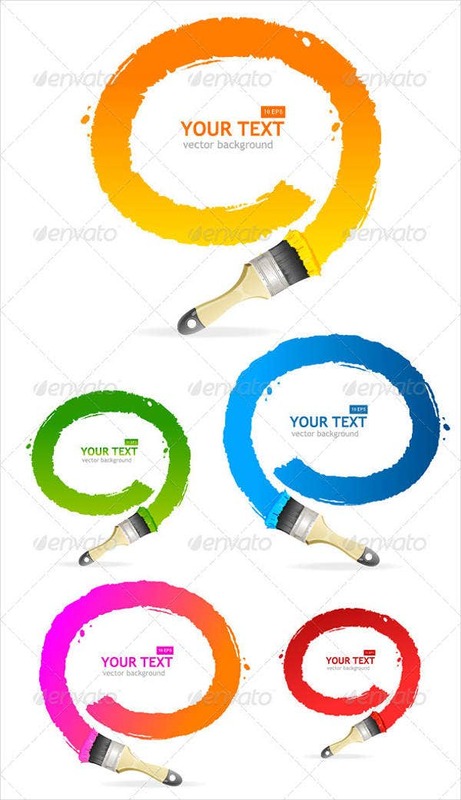 Its shape, form, color and size will affect the overall look of your page. Most of us can recall a graphic novel with high-end art that only got ruined by some bland, inflexible speech tag. 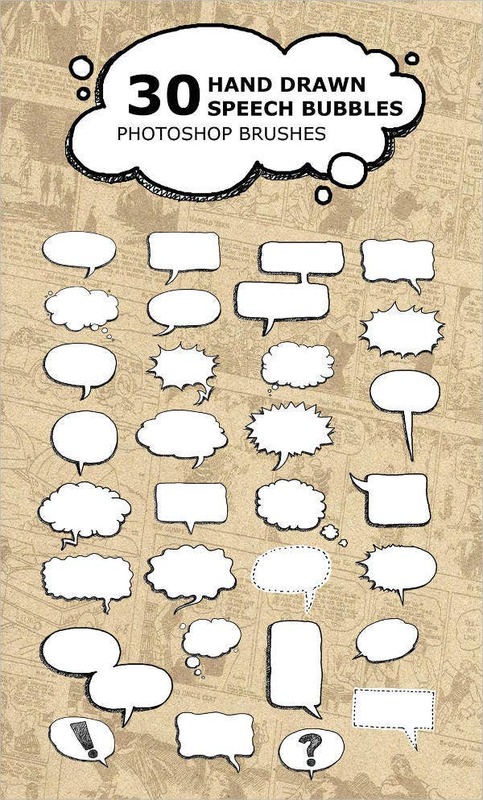 If you’re illustrating something whimsical, free-spirited and fun, you’d like the Doodle Speech Bubbles. Drawing a one-shot manga fan art page? The Photoshop Speech Bubble Brushes below are great, clean standards for most graphic novelists, and you can download them for free, hi-res, from Brusheezy.com. For more serious comics with deep themes and cultivated styles, the Hand Drawn Speech Bubble Brushes can be your partner in crime. For a last-ditch scheme, some artists go for the Cyanide & Happiness tactic of merely typing the text on the background and using a simple brush stroke for the tail. But not every comic is Cyanide & Happiness, nor should they be. From this amazing range of brushes, you should be able to find a design that fits just about any style and theme for you. 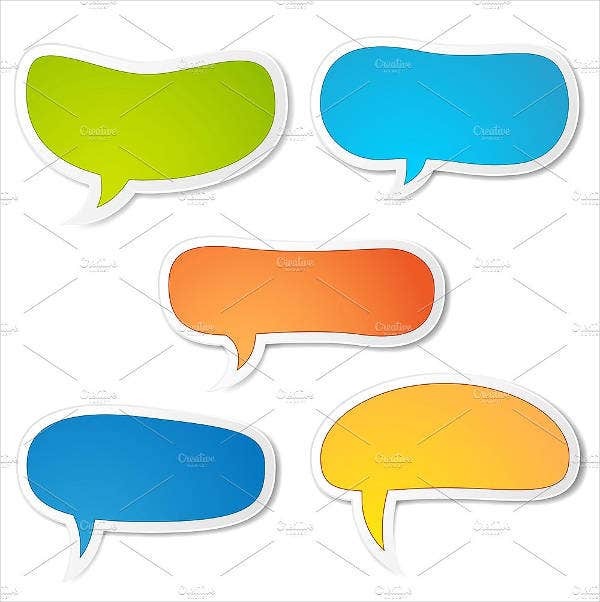 We have seen brand-name T-shirts using stylized speech bubbles to frame a great one-liner (Cartoon Speech Bubble Brushes and the Doodle Speech Bubbles are close examples). Some cool photo quotes are also made with a stylized portrait of some great personality and a speech bubble containing the person’s quote. 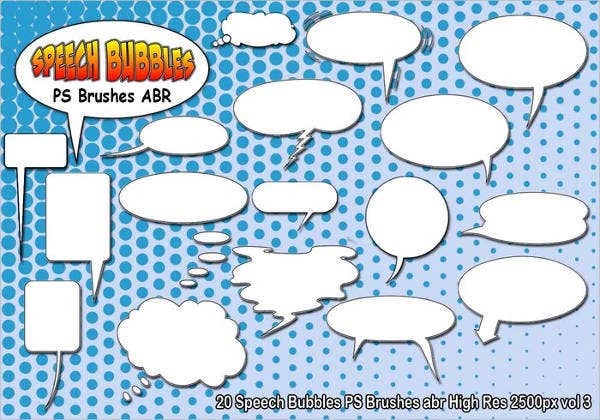 For all these projects and more, download these speech bubbles as free ABR files (Photoshop brush files) that can also be imported into Corel Painter if you have version 2016 and up. Note: For commercial, tangible products, some licensing restrictions may apply (be sure to check product specs or contact the producer). For web comics and the like that are uploaded for free, other digital artists usually only ask that you give them the credit.